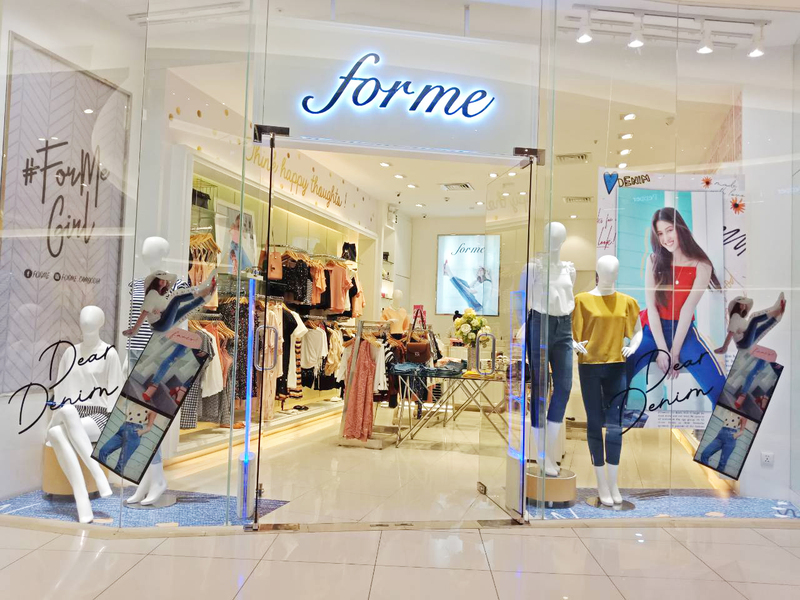 Forme was launched in 2004 where it opened its first store in one of Manila’s prime malls. To date, it has successfully opened over 50 stores in the Philippines and abroad. Forme believes that every woman has her own assets, her unique body shape, her own unique personality, preferences, and her own take in fashion and the art of dressing up, revealing her innate sense of style and confidence to take on anything life throws at her. Forme believes in celebrating these beautiful differences. The brand emphasizes that the key to looking great everyday is simple – know your body shape so you know what clothes look great on you, and that is where ForMe comes in. The brand’s designers meticulously fuse different fabrics, cuts, colors, lines, patterns, and details to create pieces that not only speak of style, but are flattering as well, with pieces designed to suit women’s different body shapes. Forme stresses that there is no ideal body shape. Every woman, once she has mastered the art of highlighting her assets can look fabulous.